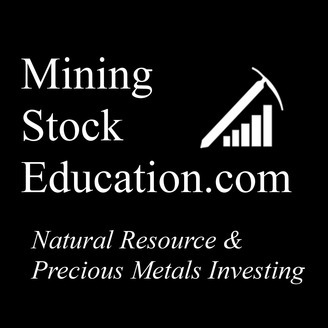 Profit from resource and precious metals investing as you learn from the best in the industry and discover quality mining investment opportunities with the Mining Stock Education podcast. In this interview with diamond expert Paul Zimnisky, we take a look at the diamond market and the opportunities available to resource investors. Paul is well-known for his work as an independent analyst and consultant in the diamond and mining industry. He is a Chartered Financial Analyst and has worked in the capital markets industry for over 10 years. Paul is a contributor to many industry leading trade journals and websites and is a regular speaker on diamonds at numerous conferences around the world. And he’s the host of the recently-launch podcast entitled “Paul Zimnisky Diamond Analytics”. 0:05 Introduction 1:48 How the diamond market differs from gold and copper 4:57 Industrial vs jewelry diamond demand 6:30 Lab-grown vs natural diamonds 7:20 Will the synthetic diamond market eliminate the natural diamond market? 9:17 Pricing of synthetic vs natural diamonds 13:44 Why did diamonds spike in price in 2011? 14:54 Diamond price forecasting linked to macro-economic expectations 16:57 Investment opportunity in diamond miners 20:03 Commentary on investing in diamond explorers Sign up for our free newsletter and receive interview transcripts, stock profiles and investment ideas: http://eepurl.com/cHxJ39 The content found on MiningStockEducation.com is for informational purposes only and is not to be considered personal legal or investment advice or a recommendation to buy or sell securities or any other product. It is based on opinions, SEC filings, current events, press releases and interviews but is not infallible. It may contain errors and MiningStockEducation.com offers no inferred or explicit warranty as to the accuracy of the information presented. If personal advice is needed, consult a qualified legal, tax or investment professional. Do not base any investment decision on the information contained on MiningStockEducation.com or our videos. We may hold equity positions in and/or be compensated by some of the companies featured on this site and therefore are biased and hold an obvious conflict of interest. 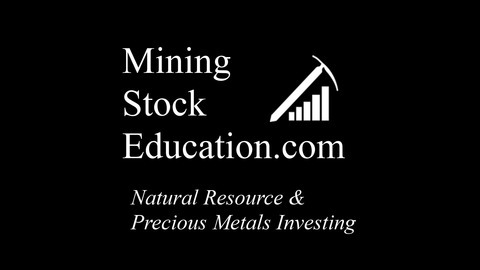 MiningStockEducation.com may provide website addresses or links to websites and we disclaim any responsibility for the content of any such other websites. The information you find on MiningStockEducation.com is to be used at your own risk. By reading MiningStockEducation.com, you agree to hold MiningStockEducation.com, its owner, associates, sponsors, affiliates, and partners harmless and to completely release them from any and all liabilities due to any and all losses, damages, or injuries (financial or otherwise) that may be incurred.